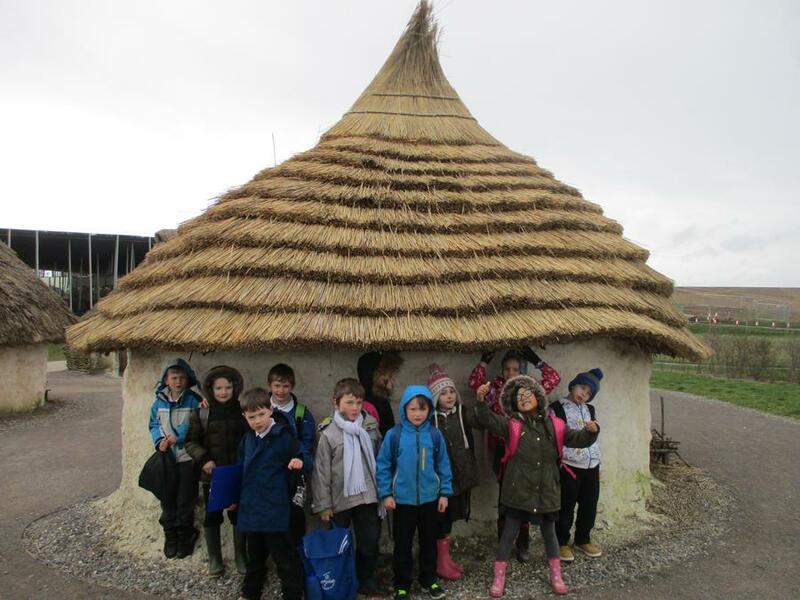 On Tuesday Hawks Class braved the weather (thankfully it wasn’t Monday) and went on a dual trip to Danebury Hillfort and Stonehenge as part of the Stone Age topic that the children have been studying. 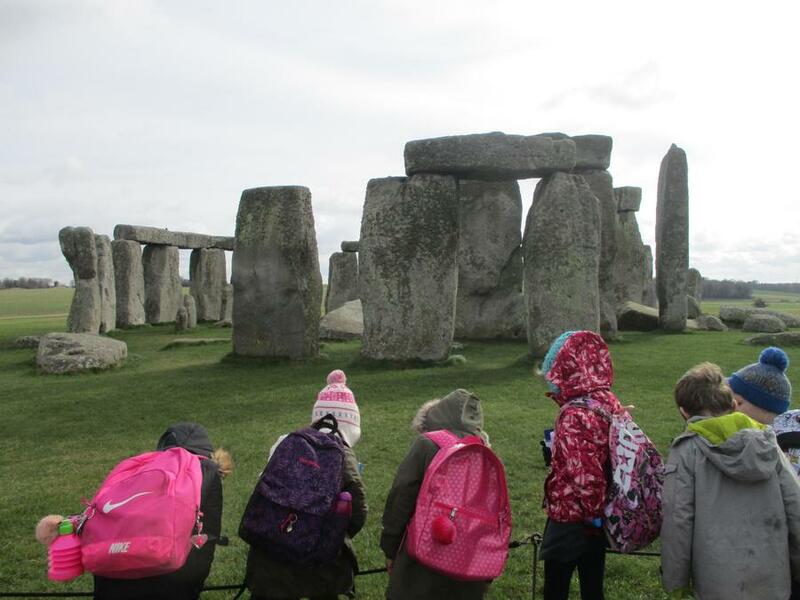 They were very knowledgeable about what they saw, and luckily the coach driver followed the route that the children had planned from school and we made it to Stonehenge without getting lost. "It was fun on the coach (there was a toilet on the bus). 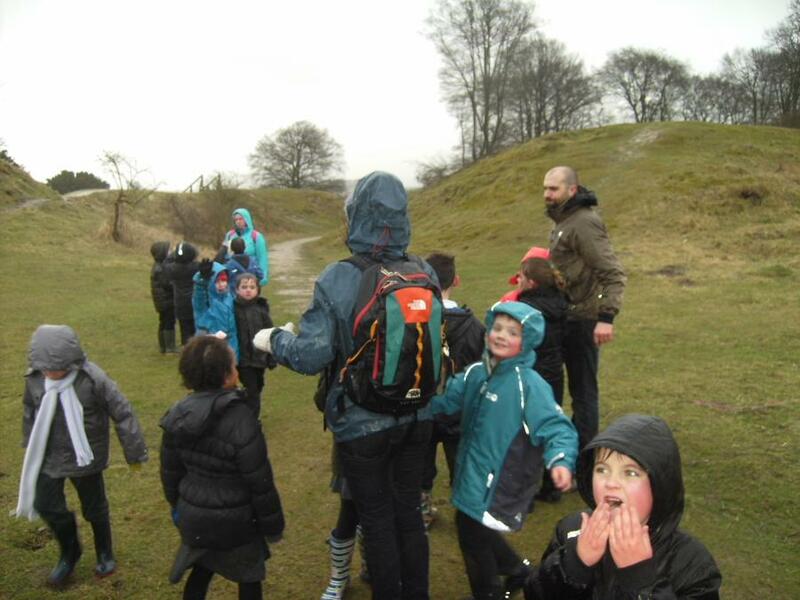 It was cold when I got off the bus but when I got to Danebury Hillfort I was warmer. I liked it a lot and it was lots of fun. We saw one round house and a lot of cow and horse prints. 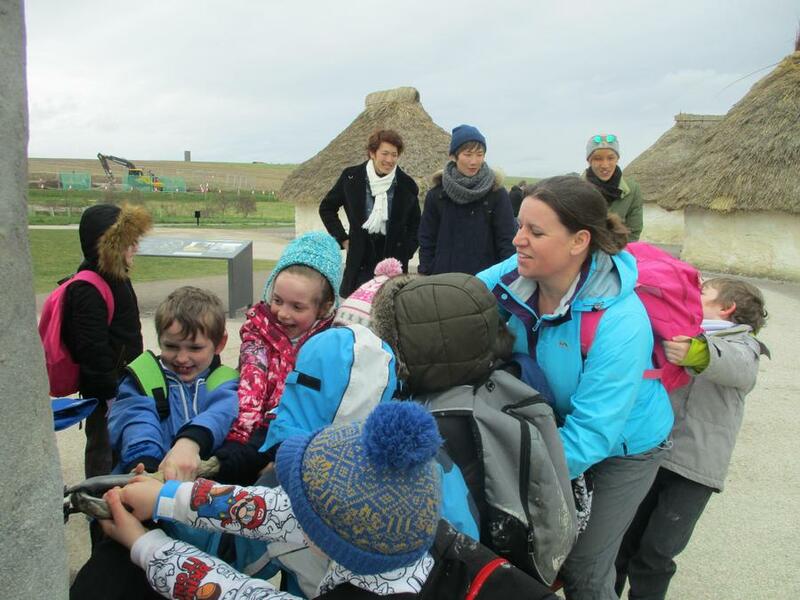 At Stonehenge there were the stones, skeletons, round houses, shops and they showed us how to make rugs out of stinging nettles!"